Are you fed up with old vinyl that’s hiding gorgeous wooden floors beneath the surface? 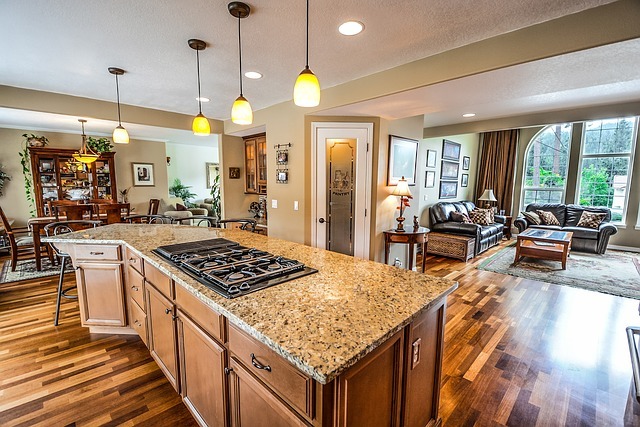 Are the wooden boards of your floors worn from years of use? If you answered yes then it’s time to refinish your floors. The pros at Flortec have put together a step-by-step how-to on refinishing your hardwood floors. Follow these steps and your wood floors will look showroom quality in no time. A job well done begins with the right tools. Before you set to work, set yourself up for success! Check for any gapping. If the boards are widening and you are able to see the nails, don’t refinish your floor. 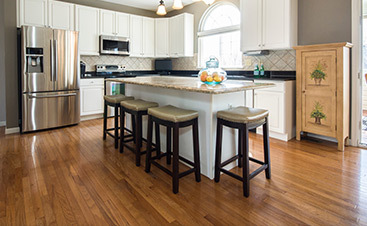 New hardwood flooring can have a laminate coating about a ¼ thick. These can’t be sanded and refinished. Some older styles of laminate flooring contain asbestos. If your wood floor is covered by laminate, have it inspected by a licensed asbestos contractor to ensure you can safely remove it. 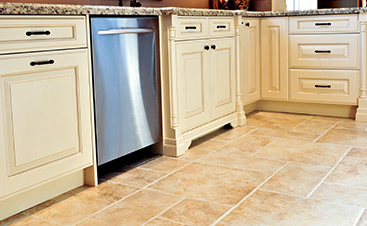 To guarantee a flawless finish, follow these steps to prepare your floors for sealant. Remove any existing flooring over the hardwood you want to refinish. Remove in sections to make the work easier. Remove any adhesive by applying a coat of adhesive remover before you scrape it up. Remove molding and trim from walls using the wide-blade putty knife. Cut a line in the paint between the wall and the trim using the utility knife, if needed. Remove as much dirt and debris from the floor as possible. Check for protruding nails, countersink any nail heads ¼ inch below surface of floor. Prepare the space. Close or cover as many doors as possible with the exception of the door leading out. Using plastic sheeting, cover door frames, heating vents/ducts, windows, cabinets or shelves and secure with painters tape. Cover any outlets/switches and wrap light fixtures with a plastic bag. Use a box fan to draw in fresh air for ventilation. Now it’s time to get down to the nitty-gritty and start sanding! You will sand a total of 3 times using different sandpaper grits. The first sanding raises the wood grain. Using 20-grit sandpaper, work in 2×4 sections. Move in a straight line in the direction of the boards. When you move to the next section, overlap the previous row by one plank. Use this technique to finish the main portion of the space. Using the edge sander, go along the outer edge of the room using a semi-circular motion to avoid gouging the floor. Overlap the previously sanded area so it blends. Get into hard areas, such as corners, using a sharp wood scraper and sandpaper. Attach 60-grit sandpaper and begin at the opposite end of the room from your first sanding. Using the same process as the first sanding, remove any blemishes or scratches. Grab your power buffer and get to work. Attach a 120-grit sanding pad and begin at the opposite end of the room from your second sanding. Using irregular, sweeping motions cover the entire floor. Overlap any previously sanded areas for proper coverage. Do not over-sand. Spot check for missed areas and hand sand any spots until they match the rest of the floor. Check your sandpaper to ensure it isn’t worn out or clogged. If your sander has a dust-collector, be sure to empty the bag often. Do not push the sander. Steer it and allow it to do the work. Use an industrial grade vacuum to remove any fine dust or particles. Industrial vacuums have a soft bristle hardwood floor attachment that protect your floors. If yours does not have one, apply painters tape to prevent scratching the hardwood surface. Remove all plastic sheeting and wipe all surfaces, including the floor, with a wet cloth. Repeat if necessary. Vacuum a final time to ensure all dust is removed. Dust and debris can cause rough spots in the sealant. It’s time to apply sealant for the showroom finish. Cut in areas around perimeter of room working in the direction of the wood grain. Cover an area of 12 inches from the wall towards the middle of the room using the 4-inch Chinese bristle brush. Use lambswool applicator to cover the rest of floor. Overlap the areas where you cut in for proper coverage and work with the wood grain. Allow to dry for 24 hours then buff with power buffer. Apply second coat using same the method used for the first coat. 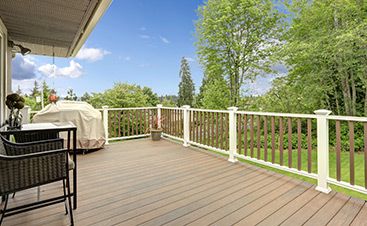 TIPS: If staining apply stain using same process prior to first sealant coat and allow 24 hours to dry. Roll-up your sleeves and roll out the rug, your hard work is complete. It’s time to kick up your feet and enjoy your beautiful hardwood floors thanks to the tips from the team at Flortec!